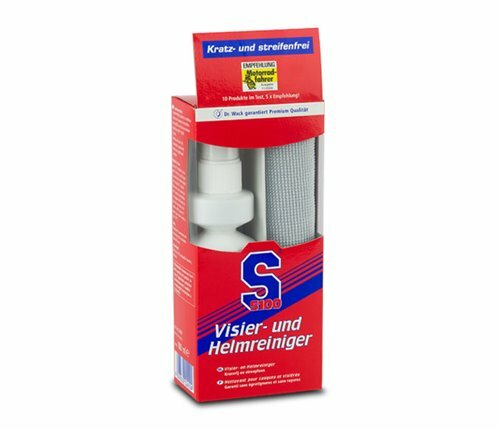 This product is suitable for all types of visor, regardless of whether clear, tinted, mirrored or with anti-fog coating. Other applications include the helmet outer shell, headlight, windscreen and mirrors. Suitable for multiple use. Comes with microfibre cloth for optimum cleaning results.